Home / Batavia / CM / dance / GCC / News / salsa dance party / WOKE club / Salsa Dance Party at Genesee Community College, Thursday Oct. 4! 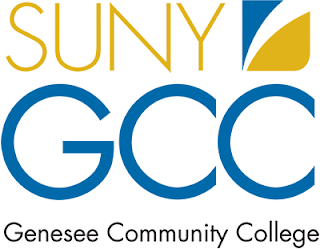 What: SALSA DANCE PARTY at Genesee Community College When: Thursday, October 4, 2018 from 12:30 p.m. - 2 p.m.
Background: On Thursday, October 4, 2018 from 12:30 p.m. - 2 p.m. the Forum at Genesee Community College will be filled with the passionate rhythms of salsa! Darin "Sal" Price, owner, instructor and DJ at E|R Studio and Lounge, will be at GCC to lead the event and provide the college community a salsa lesson! Experienced salsa dancers and novices alike are all invited to attend the FREE event! No dancing experience necessary! The Salsa Party will be hosted by GCC's WOKE student club which not only celebrates diversity, but encourages inclusive behavior throughout the GCC community. "The WOKE club specifically selects events and activities to demonstrate the value of an inclusive education and way of life," Sara Vacin, GCC's Diversity and Inclusion coordinator said. For details on this and more of the WOKE club's scheduled events visit the College's new "Diversity and Inclusion" Facebook page at: https://www.facebook.com/pg/1genesee/.